Welcome to book two of the Wicked Lovely series! We are but a mere 40% of the way through this series but already you can see that this world is going to be large, it is going to be constructed in its entirety, it is going to be exciting and we are certainly not going to get all the facts until we need them, or are ready for them even. That’s what Marr is like. The original review for this book is from 25 Sept 2012 because it took be a little over a month to start the second book. 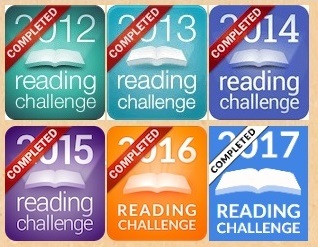 I was intrigued from the first book but not desperate to jump into the next one. However when I did I was rather surprised. When I started this book I thought for a moment it was a totally new story with new characters and I was annoyed because I was looking forward to continuing the previous story. I had just gotten invested in these characters and then we suddenly shift. I was mistaken thankfully. Ink Exchange is told from the point of view of Leslie, Leslie was in Wicked Lovely which I had forgotten about, and now we get to see her point of view and find out about her exposure to faeries. It was good to see the faery life from an outsiders perspective, we had spent so much of the first book with Aislinn who knew all about them and could see them prancing about everywhere. By switching to Leslie’s perspective we are able to see how mortals without Sight interact and react to the faeries around them when they cannot see them and when they do become visible. The story begins with Leslie unaware of anything that Aislinn had experienced, she is trying to survive in her own world and deal with the issues in her own life. In a desperate need to change and escape her life she slowly begins to get mixed up with the faery world and it drags her deeper and deeper in. Characters who were minor characters in the previous book gain a bigger role and those who dominated before are pushed into the background. What was great about this story was the fact you got to see everyone’s perspective through narration and through character responses. Seeing Aislinn’s actions and life from the outside was an odd experience considering we were exposed to all of her thoughts, feelings and emotions before, but this has now been transferred to Leslie which adds another element and reaction entirely. Marr revealed a few more secrets and mysteries about her characters some new, some old, certainly none are fully revealed in this part of the story which adds to the anxious wait of waiting to find out what will happen and what she could be building to. There are small moments of suspense where you are unsure what will happen as Marr brings emotions and consequences very close to the edge. She creates characters that make you worried and concerned and by using outsider Leslie’s perspective it adds another layer to the events and emotions from Wicked Lovely. The Summer and Winter courts return with Keenan, Donia, darling Niall and every one else in tow, but we are also given greater detail and insight into the Dark Court and their king Irial. The first book was used as an introduction to the entire world and Ink Exchange continues this, but it also covers another aspect of the faery world. We are shown sides of the Dark Court and the fear and respect they bring to faeries, and what the relationship is like between these courts. Our understanding of those outside the courts grows as well, such as The Hounds. All of this introduction and revelation has been cleverly interwoven into everyone’s lives and across novels where you don’t realise the significance until much later. 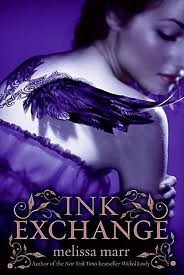 Aside from creating character connections and further introductions there are personal battles, threats of War, sacrifices and inner demons spread throughout this novel, all of which make Ink Exchange a very fitting sequel indeed.